Maybe I like this verse because I like to move fast but it reminds me that zeal and knowledge need to remain attached! Lots of younger people have zeal but very limited knowledge. Lots of older people have knowledge but lack much zeal. On Facebook I saw a lot of passion, but was struggling to find Facebook posts that dealt honestly with the complexity of the situation. So rather, I prayed, pondered, discussed with Chad, researched statistics, journaled, and on and on. To be honest, I didn’t want to write this blog. But my friend’s call prompted me, along with God’s nudge (and mind you, I am NOT saying this blog post contains God’s final word on the topic! Goodness, no. But it contains some of my thoughts as I have processed with God. I wish the blog fully reflected God’s perfect thoughts, but I know in my weakness I have missed it by a lot)! This blog is longer than usual, but these types of issues are pretty tough to capture in 800-1000 words, or a FB post, or certainly a tweet. Just hang with me! Please know that I am not trying to make anyone angry in this article. But I figure I will make everyone upset at some point (sorry!). So, just as I hope that the Holy Spirit directs my words, I pray that the Holy Spirit directs your mind as you read. All that said, I will now tell you where my reflection has led. Before we talk specifically about the Syrian refugee crisis, you need to know four things about me. We have worked with refugees. My husband and I worked in the Albanian refugee crisis among Muslim refugees, while living in Egypt we entered into the Sudanese refugee crisis, Chad worked for two years with Iraqi refugees in Jordan, we’ve had the opportunity to welcome refugees to the states at airports when we’ve lived in the US, we’ve interacted with those who work with refugees in the US, one of the regional advocates from our organization now represents 10/40 Connections with Bridge (a local resettlement service), and we are considering writing a curriculum in 2016 to help individuals and churches who serve refugees in our city to know how to share the Gospel in both word and deed within various worldviews.We highly respect the groups in our country (most that we know are faith-based Christian groups) who are resettling refugees. Good job to you! I desperately want Muslims to know Jesus. When I see Muslims in Chattanooga or around the world, I speak with them. I seek to know them. I seek to share with them – even at places like Party City when I bought plastic table cloths two weeks ago. I see them as people Jesus died for and rose again to save. I recognize that at times God moves people into our midst through refugee status or immigration so that they might be exposed to the Gospel. I recognize some Christian refugees will enter other lands and impact that land with the Gospel, and I know some refugees of other faiths will meet Christ in their host nation. How awesome is that! I deeply grieve for Paris. Though the attack there is not the point of this article, I am deeply burdened for what happened in that nation. I believe the actions were completely evil. There is no rationale; it was no “set-back”; it was brutal and evil – absolutely, and it grieves the God I worship. Our prayers after this horrendous tragedy are two-fold. One, I pray that the French people recognize their deep need of Jesus Christ. I pray that somehow this evil will cause them to question their eternity and their present lives. I pray for revival to sweep through the French churches once again! Two, I pray that through this horrendous act that Muslims in France and throughout the world will hunger deeply for a relationship with a God who loves. Only through Jesus will they find true peace, righteousness and joy. I pray for millions of Muslims to find Christ. With that said, I now move on to the Syrian refugee crisis. Before the Paris massacre and the governors’ responses in the U.S., we had been speaking up for the Syrian refugees and encouraging prayer for them – both the Muslim and the Christian refugees. We had been alerting Christians to the intense difficulties Christian refugees are having from Iraq and Syria. We were seeking to mobilize prayer for the situation before the social media drama. I say this to state that any crisis warrants some sort of action. Back to the Syrian crisis. I think the Syrian refugee crisis and the government response requires both zeal and knowledge to be applied in different ways based on three specific groups involved. When it comes to the current refugee situation, not all responses are created equal. Not all bear the same weight. Not all can affect the same change. Basically we see three distinct groups with vastly different responsibilities. One group’s response looks different for another group because their “job” is different. Each group has its place and its responsibilities. Whether personal, church-based, or government-based, decision-making should not be founded on the scaffolding of fear. Again, it should be based on godly zeal and firm knowledge. The purpose of government is to govern (shocking, right?). This means to hold in check; to control. The governor in your lawnmower is there to regulate the speed of your engine. The justice system is not a “mercy” system, although aspects of mercy are obviously built into a government. Our laws provide the boundaries to protect and defend the people. I honor my country that does so much to welcome refugees (stats on this to follow). I believe American Christians should certainly welcome the foreigner in our midst. I am thankful for organizations (like World Relief, Catholic Charities, Bridge) who resettle literally thousands in any given year. I am grateful for churches who have robust ministries to refugees. But I also believe deeply that government has a large place and holds a key responsibility in matters such as refugee resettlement of Syrians, especially as terrorism has shaped the global landscape. We should pray for our governing leaders whose ability to respond involves clear steps to help people as well as provide for public safety. 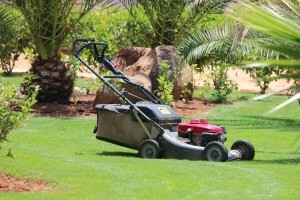 Like the governor on our lawnmower, they are to “regulate” and “control” who enter. That is their responsibility. If they are not seeking to do that, they are failing in their elected responsibilities. To be thoughtful about why and what some government officials have stated, I researched and pondered this current crisis as well as government vs. individual roles/responsibilities. The government has access to intelligence that I and you are not privy to. We’ve helped purchase that technology through our taxes, and citizens trust that their governments are using and acting upon the technology to the best of their abilities. As individuals, churches, and non-profits, we have something to offer but none of us reads the classified reports. I am personally glad; I cannot imagine what they sort through. They are responsible to use the technology and interpret it. They know some things we as citizens just don’t know. Usually refugees worldwide average around 80% women and children. In the Albanian refugee crisis, most of the men I saw were very old or young boys. The able-bodied men were home fighting for their nation. They were not filling the immigration lines. However, the statistics coming out of Syria and Iraq and North Africa are different. 62% of the refugees exiting these areas are men with 22% children and 16% women (click here for article). Should the children and other hurting people that are coming be helped? Absolutely. But I will get there later. The fact that the current stats differ from the global norm should indeed give governments pause. That is their responsibility, to think, to ask questions, and to consider the best response for those in their charge. I am sure that many innocent refugees from these areas are caught between a rock and a hard place! Dear Jesus, please protect and help them, and help us reach out to them in that difficult place. Help us be creative to know how to help the Syrians – Muslim and Christian – within holding areas before they can reach resettlement countries. There are always solutions – we must be creative! Neither the U.S. federal government nor the U.S. state governments are run by a biblical theocracy. It should not look like a mission organization. It’s not commissioned by the same mandate as I am as an individual follower. I as an individual or part of a church should turn no one away. But the government is commissioned for a different job. If we think it’s the government’s job to look like and be the Church, we have confused the lines between the government and the Church. I am thankful that Jesus lived as a refugee, was adopted by his earthly dad, had a mother who was pregnant before marriage (through a miracle) and at some point lost his dad so had a mother who was a widow and he grew up at some point without an earthly dad. So many hurting people can relate to a God-Man like that! But simply because Jesus was a refugee/migrant, is the U.S. government supposed to open its doors to everyone? I don’t know what border controls they had in Egypt 2,000 years ago, but I do know two things from history. 1. Mary and Joseph didn’t have to fill out passport forms or apply for visas to get into Egypt. I’ve filled out hundreds of those forms and have probably killed a few trees doing it, but this was not Jesus’ reality. 2. Nor did Mary and Joseph live in a time with billion-dollar databases tracking terrorism. Also first century Jews were not known to enter nations and target innocent citizens. Also, equating the situation of the boatload of Jews that the US turned away during WWII does not parallel the situation today. The Jews had not declared war on the US, and we believe they should have been allowed asylum. Obviously, ISIS has a different and clearly stated agenda, therefore caution should be exercised. Again, I KNOW that the great majority of Syrian refugees are not ISIS fighters. However, I am looking at the U.S. government’s responsibility. I found an interesting article that expressed some of the progress and pitfalls of the vetting process. Again, if you hear the vetting process is perfect, don’t believe it. And if you think it’s all failing, don’t believe that either. 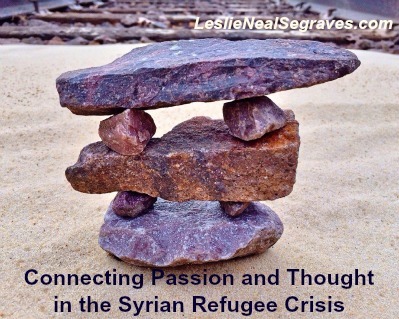 In so many ways, Jesus as a baby refugee does not equate with the Syrian situation. The U.S. is radical Islam’s #1 target. Therefore, the government must govern and discover whom we can graciously welcome onto our shores. Our history as a nation leads the world in resettling refugees – that speaks to our values. The U.S. has accepted more resettled refugees than any other nation. But with the U.S. as a target, it makes the process that much more complex and deep thought and governance are required. Notice the direction of the refugees coming out of Iraq and Syria and where they are going. Though Turkey, Lebanon, and Jordan have been completely inundated with refugees and are trying to deal with the crisis (Please also pray for these nations as they seek to survive this crisis also! ), I discovered that many Gulf nations like Saudi Arabia, Qatar, UAE, etc. have received workers, but no refugees yet. Rather the refugees are finding more open doors in Europe and the West (Again, the reasons behind this are complex.) Saudi Arabia did offer to build 200 mosques in Germany though for the refugees in one article I found and has offered finances for refugee camps elsewhere. My research led me to more disturbing information. Syria’s Christian population before the civil war was 10%. Syrian Christians were the most attacked and most vulnerable to the violence than any other group targeted by ISIS. I discovered that many Christian Syrians are not even entering UN refugee camps which is almost the only way to get legal clearance to go as an asylum seeker into another country. 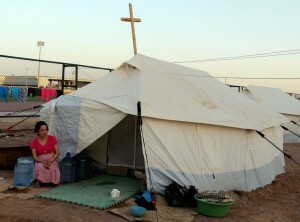 Christians often do not go into the UN camps because of the persecution within the camps – food restrictions for some and physical attacks that result in sexual abuse and/or death – by others in the camps (perhaps even ISIS plants). Now that’s a Christian response that needs to go viral! It’s easy to say “welcome”; it’s much harder to re-arrange one’s personal life to make a stranger feel welcomed as you stick with them until they eventually get on their feet and/or become your friend. The second group who has a responsibility to deliver a response is the church or the non-profit organization. Once refugees arrive here, I think no one should be turned away from our help. We are directed by biblical standards to care for the foreigner in our midst. Did your church or organization already have an actual plan for refugees that was being implemented before the Syrian crisis? A coordinated ministry effort meets the tangible and spiritual needs of refugees – airport pick-ups, car rides to work, school, and doctor appointments, English lessons, tutoring, inoculations, haircuts, lice treatments, grocery store runs, furniture collections and drop-offs at apartments, cultural classes to help them adapt, and personal dinners in church members’ homes? Is there training happening to help church members share their faith and understand the refugee’s faith and worldview? Does your church have Bibles in multiple languages or at least access to Bibles so the Word can also be shared? Maybe your church does, or maybe it does not, but Scripture teaches that this is where the Church should be – out among people. It’s messy; it’s really, really messy. Will your Church be there to engage the Syrian or Iraqi refugee in a holistic way once they get here? Of course, many other refugees (as well as students, and migrants, and business people) from other nations are already here. Hopefully your group is already befriending them, because the church has a clear mandate and a responsibility to care for the foreigner in our midst (even as we trust the government to protect and defend us from attack, but not expect the government to fulfil Matthew 25). If there is not something already in your church in this area, perhaps God wants you to start it! So my last group for discussing, I start with two questions showing polar opposites. The point here is that regardless of government policy, as individuals and families, we can show powerful compassion to foreigners. We should personally be welcomers to foreigners. Our hospitality can warm hearts and change lives. However, many opportunities have been missed because of a lack of individual (and church) hospitality. Did you know that 80% of foreign students in university and grad school never enter a U.S. home – let alone a Christian one? A horrendous statistic! Did you know that both Saddam Hussein and Muammar Gaddafi studied in Gadsden, Alabama? What if a loving Christian family had invited them to eat a meal, befriended them, and shared the love of Christ with them (maybe someone did? But there’s an 80% chance no one did). Perhaps the entire history of the world would look different! Caring is bearing. My fingers flying over my keyboard is not tangibly helping a refugee – not until my mind, heart, and hands/feet engage them in their midst. Simply writing a blog or writing a post on Facebook indicating my passion for refugees or declaring my desire that they live with me (implying I am opening my front door when my state is shutting theirs) is simply “talk” until action is applied. I urge you to contact your local refugee settlement center and go volunteer – they would be so happy for your time and energy! You could be a great blessing to a refugee family! Teach an ESL class nearby your home. Volunteer with a refugee settlement organization in your city. Tell them you will host a Muslim refugee family and see to it that they get where they need to go. Invite that Muslim individual or family to eat with your family weekly. (You may have to stop some of your kids’ activities to do this and you’ll definitely miss some tv shows because you will be living reality! Do it – caring is bearing!) If you’re newly married, with the date money you are saving, invite a refugee family to your home and share a meal. Give money to organizations who are helping people in crisis. Open your home to an exchange student. Pray for the Muslim world and intercede on behalf of those who do not know the love of Christ! Serve as a missionary near or far. Share the Gospel with clarity and kindness to the people you meet that are from different backgrounds. Commit to not scream. Rather, actively engage or start activities and invite others to join you. With purpose, always connect the deed of the Gospel with the Name of Jesus Christ! As I stated, each of these three distinct groups (govt, church, personal) must respond based on their own structured responsibilities. Each group has a sphere of responsibility and each has an ability to respond. Most of us do not fall into the governing category, and so our responses can easily be more compassionate and merciful. They should be. My final point in this article is a reminder that fear should neither motivate nor hinder Christians – not the fear of death, not fear of attack, not fear of jobs being taken away, not the fear of our culture changing, and not the fear of political incorrectness. As Christians we must pray for our leaders to govern well (even when they don’t). And whether they do or don’t, once the foreigners are here, we must step up and passionately serve. It’s our job as Christians to live out Matthew 25. Living without both zeal and knowledge is dangerous. Zeal without knowledge can lead to destructive fire rather than a guiding lantern. Knowledge without zeal can freeze out compassion and action. Let’s glorify God by thinking and acting. Let’s apply knowledge as we seek to act in wisdom. But let’s never allow our faith to be governed by mere logic. Let’s allow God to do illogical acts through us for His sake in the world. When knowledge and zeal unite, our hands and feet engage well for such a time as this. You see, I deeply believe God always honors good theology (our thinking about God) that puts on sneakers and lives among the people. Ahhh, I realized over the past week how nice it is to not be on social media. What if we all pulled off of it for a week, spent a lot of time in prayer for both our government and refugees, and then went out and befriended a Muslim or person from another nation in Jesus’ Name. Gotta feeling that’s what Jesus would love to see “go viral” all over the world. Just some simple thoughts from a girl whose feet like to move. P.S. As you know, numerous articles are being produced on this topic. We wrote this piece with the info that we could find. If you have data that shows something different, we acknowledge that is very possible. Good job! Thank you. I’ll be sharing this. We (AFCOB) will be a church that prays and puts feet to our prayers. Praying for you and your ministry endeavors. Tina, thank you! Said a prayer for you and your church as you seek to both pray, share, and move your feet to the action! Many hugs! Leslie, last night I was thinking about how I would like your view on this topic. And here you are! Wonderful, thought provoking, prayer inspired, well researched writing. Thank you!!!! Thank you Judy! I appreciate your encouragement. Our world has truly become so very complex! Many blessings as you serve Jesus! So thankful that this was timely for you! Prayers to you as you live out Matthew 25! Well done, precious girl. Very well done! I know I’m not the only one who is proud of you at this moment. Thank you for a well-reasoned, prayer-seasoned offering. Thank you Judith for taking the time to read the blog. I love the way you phrased that – well reasoned, prayer-seasoned offering. I like that offering word. What if everything we wrote on social media it was seen as an offering to God? I LOVE that and will use that as my accountability test! Thank you for your preparation, insightful thoughts, and recommendations. I’ve been hoping to see your response to this crisis, as I know you have a God-given heart for refugees as well as boots-on-the-ground experience! Hi Donna. Thank you for your comments. It took me awhile to come away and study and pray so my response wasn’t as quick as many others. Thankful too that Chad likes to think and pray so we were able to do a lot of reflection together! Thank you for this article. I think you nailed it. My jaw dropped to discover Hussein and Ghadafi studied in Gadsden! If only Amy Snow had been around back then! Hi Sally. Thank you for your comment. Yes, I had already seen and studied the article you attached. As you know, there are loads of stats and articles out there. I chose to go with the one I did for two reasons. One, I was not trying to show the UN’s existing refugee camps (specifically bc Christians are not there very much due to persecution within those camps, some from ISIS within the UN camps themselves) as an article cited in the blog. I was not seeking to share how people got into the UN camps nor percentage of those leaving the camps based on gender. Secondly, I was seeking to show the mass exodus of those leaving that area of the world and where they were coming from (the article I chose said Syria, Iraq and North African nations). I was revealing that they were coming in the thousands away from the Middle East while the Middle East (Gulf States) are not receiving them for the most part though they share language, religion, and culture (obviously there are distinctions from ethnic group to ethnic group, but there are definite shared characteristics). But whichever stats are used, my main point was to divide the responsibilities and responses of three varying groups. In short, the government, the church/non-profit, and the individual each have a part which is expounded on within the blog. Thank you so much for offering the article you did. Thank your for your zeal and your desire for knowledge. This is a complex issue indeed. I respect your insight knowing you have first hand knowledge of the plight of refugees. I also know your intentions are always to seek Godly wisdom and to live a life of Christian integrity. Your article is well thought out and I appreciate your perspective. Hi Gisela! Thank you for your encouragement Gisela. Appreciate your taking time to read. Charlie, it is always good to hear from you – whether in person or online! Yes, I think you nail it – the world is changing but we cannot let fear change us – we must still reflect Christ! Blessings as you shine for Jesus today! I think your article makes some great points, but this fact seems to be false. I might have missed something, but could you provide a credible source for this? Jim, we had access to the article above which listed Mohammed Morsi of the Mus Brotherhood who studied at USC, King Abdullah of Jordan and the late Benezir Bhutto of Pakistan and many other world leaders who studied in the US. For some reason we chose to go with two leaders we read about in a mission book years ago bc it remained so strongly in our minds. I am looking for the book now to see where they got that information! If I can find it, I will for sure post it for you. Hussein and Gaddafi are not on the list in the above article, perhaps because this lists only universities but not other types of exchange programs like military. We found where Gaddafi studied in Beaconsfield, UK as a young military student. http://topinfopost.com/2013/06/01/the-story-of-muammar-gaddafi. Will let you know when we find the other source. Thanks for your question. Loved this :). Some Christian friends and I hosted a few Christmas meals 2 weeks ago for Muslim neighbors (whom we connected with through a Muslim friend whom one of us met in a mosque at Friday prayers a few months ago). My Christian friend reflected the day before the meal how she was a bit scared because of a recent local incident of Muslim terrorism, but she chose to honor Jesus and welcome Muslims into her home despite that fear. It ended up being an awesome night & it was a step towards new friendship! We shared food, conversation ranged from why we fast to life stories, we competed in a Christmas trivia quiz, and we studied Luke 2 in Discovery Bible Study format at the end of the night, both Christians and Muslims learning something new from one another’s reflections :). Just some encouragement as we continue walking in the love of Jesus! It’s exciting Nicole to hear of believers engaging the lost wherever they are! Many blessings!